The trio gentleman band consists of Agos Moahi, Given Mabena and Lucky Sibandan. All three members studied at the Opera Department of the Pretoria Technikon, under the vocal tuition of Eric Muller and Pierre du Toit, and were awarded National Diplomas for Performing Arts specialising in Opera. 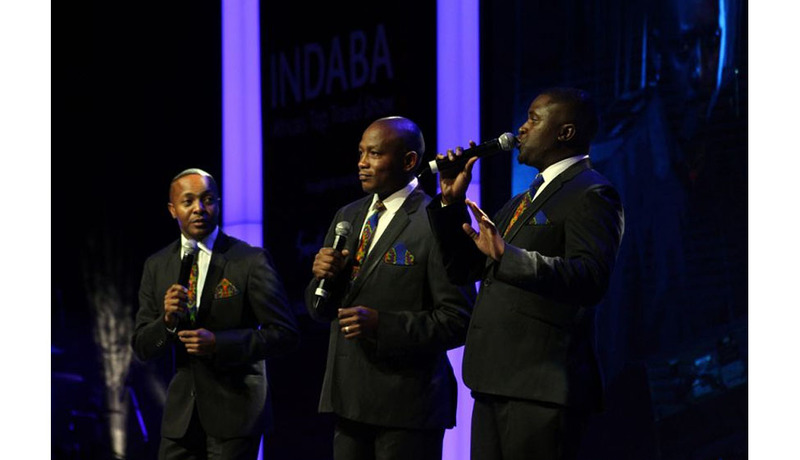 Receiving standing ovations wherever they perform our own Three Afro Tenors present an excellent repertoire of popular light classical hits, in the vein of Amigos Para Siempre, Love Changes Everything, Surriento, Santa Lucia, Funiculi Funicula and O Solo Mio. The Three Afro Tenors, performing together since 1997. Presented to be perfection by Africa's premium opera singers Agos Moahi, Given Mabena and Lucky Sibandan! While the trio present themselves in smart black tuxedos, they also appear in the colourful traditional ‘Madiba' shirts, popularised by their hero – Nelson Mandela! All supplemented with the finest traditional African bush songs, including the likes of Meadowlands, Thula Thula, Malaika, and the great Madiba tribute, Rolihlahla Mandela. Solo - Agos, Lucky or Given as solo singers with superb backtracks. Duet – Agos, Lucky or Given accompanied by an excellent African female soprano. Trio - The Three Afro Tenors with excellent backtracks!